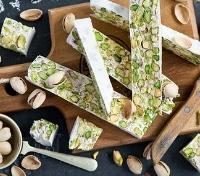 Taste pasta, cheese and chocolate on a private gourmet tour. 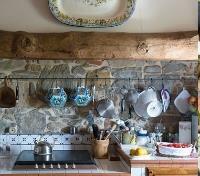 Take a private cooking class with a local farmhouse 'momma'. 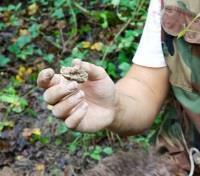 Truffle hunt and kayak with local experts. 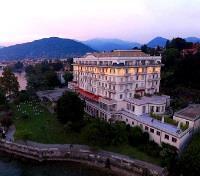 Cruise the stunning waters of Lake Maggiore and Lake Como. Expert selection of premium quality accommodations. If you've already experienced the jewels of Tuscany, Piemonte may be the Italian follow-up you've been waiting for. Savor the flavors and vistas of this incredible region as you wine and dine in rural towns, and discover the lakeside villages and villas of Lake Maggiore. Meet your private driver at the airport for a transfer to Benevello. Approximate travel time is 2 hours. For your ease and comfort, a private English-speaking assistant will be waiting for you in the arrivals section of the airport to briefly review your tour details, and assist you in locating your private driver. 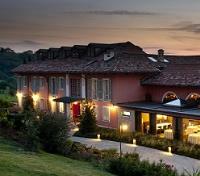 Relais Villa d’Amelia (4*) was born from the masterly renovation of the 19th century Cascina Bonelli, in the heart of Piedmont’s Langhe region, a short distance from the town of Alba. Sitting on the ridge of a hill between luscious woods and spectacular hazelnut groves, and a breathtaking view of the Alps to boot, Villa d’Amelia is the perfect starting point to discover a magical region, rich in flavors and traditions. The hotel’s elegant and warm interiors and its manicured blooming gardens surrounding the villa create the perfect atmosphere one would find in a private home, where every guest receives carefully tailored services. Villa d'Amelia also features an exclusive 1 Michelin Star restaurant, where it's possible to enjoy the region’s specialties prepared both according to classic recipes and their more modern reinterpretations. Meet your private sommelier-guide and your driver, and set out on a full day discovery of the UNESCO Intangible Heritage-listed wine region of Monferrato. You'll head toward Castell'Alfero where you'll visit Italy's most important artisanal facility for the production of traditional oak barrels, using Slovenian wood and French barrique. You'll have a unique experience as you meet the owner and receive a first-hand explanation of the complete production process, from the age of the wood to the barrel production. Afterward, you'll continue to Nizza Monferrato to visit the outdoor Wine Museum Bersano, one of the oldest Piemontese cellars, where you'll enjoy a wine tasting. Next, drive to Canelli, the heart of the territory, where you'll be dazzled with a set menu lunch prepared by Mariuccia, the first woman to receive a Michelin Star in Piemonte. In the afternoon, you'll visit some underground wine cellars, learning various wine secrets while tasting local wines, sparkling wines, dessert wine and the typical Vermouth. Finally, you'll make a stop at the famous small village of Barbaresco, where you'll get to taste the wine of the Queen, a Barbaresco DOCG. Conclude back in Benevello. Embark on a private gourmet tasting tour today with your guide and driver, beginning with a transfer to the small commune Monale d'Asti. It's here where you'll visit a local goat, sheep and donkey farm, enjoying a tasting of some of the cheeses produced on site, paired with Monferrato wines. After, head to the small village of Cocconato, where you'll make a visit to a prosciutto and wine producer, tasting both of their specialties followed by a light lunch of cold cuts and Piemonte pasta. Continue into the world of hazlenuts, visiting a nut producer in Castellero where you'll taste the famous Piemonte hazlenut pie, as well as Grissini breadsticks. On the way back to Benevello, you'll make a stop in Asti where you'll visit a small producer of the famous local torrone (Italian Nougat), enjoying a tasting of 3 different torrone, together with 2 different chocolates. Your day of gourmet delights concludes back in Benevello. Meet your private driver for a transfer to nearby Alba, where you'll meet up with a professional English-speaking truffle hunter and his trained dog, embarking on an amazing private truffle hunt experience today. With the helpful translation of your guide, you'll follow this trained hunter and his expert dog into the rugged woodlands outside of the city. Discover natural secrets and botanical information of this precious land’s product as you look for the prized black truffle, a delicacy which can be found in this region with the right combination of skill and luck. Watch the dog sniff out the territory and hopefully lead everyone to a fungal jackpot! Upon completion of your hunt, you'll return to Alba where your truffle hunter (a member of the Italian National Truffle Association) will provide you with an approximate 2-hour seminar, leading you through theoretical concepts and practical exercises, where you'll learn to make the best use of your sensory organs for the evaluation and appreciation of truffles, bringing an entirely new dimension to this sought-after delicacy. 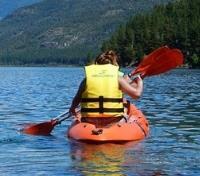 After, enjoy some free time in Alba before concluding your day back in Benevello. Today you'll depart with a private driver to La Morra, located 30 minutes from Benevello, for a genuine cooking experience. Situated among hills covered with vineyards and centuries-old historic castles, the picturesque commune offers a delightful sight as you approach. 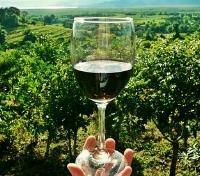 Upon arrival, you'll come to a local farmhouse and winery for today's activity. Meet your private cook (the farmhouse Mama), who will hand you an apron and menu for the day as you prepare a complete Piemonte meal with her help and expertise. You'll make a starter, first course, second course and dessert, all under the helpful guidance of Mama, followed by a lunch consisting of the very meal you just prepared! After lunch, and with a full tummy, you'll transfer back to Benevello. Meet your private driver for a transfer to Verbania. 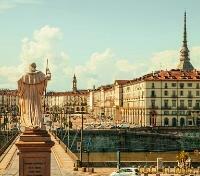 En route, you'll stop in Turin and meet a local guide for a private walking tour of the city's classic highlights. At Turin's principal square, Piazza Castello, take in views of the stunning Royal Palace, a 16th century palace recognized as one of the thirteen UNESCO World Heritage-listed Residences of the Royal House of Savoy. Starting off Piazza Castello, see the Fascist-era architecture spanning Via Roma, a stark contrast to the 16th and 17th century influence of House Savoy, which radiates throughout the city. Just behind Piazza Castello, spot the 15th century Turin Cathedral with its 130-foot bell tower. An annexed chapel is where the renowned Shroud of Turin is held. Nearby you can see the Palatine Towers, an ancient Roman city gate that formed part of the city walls that used to envelope the historic center. Be sure to keep your eye out for glimpses of the Mole Antonelliana's staggering 550-foot pinnacle, the highest point in Turin's skyline, which can be seen towering over the surrounding city center buildings. Next, continue through the Po Valley for a panoramic drive through scenic rice fields, where the famous Italian risotto is grown. Arrive to a small artisan estate where you'll enter into the world of rice, and enjoy a light lunch comprised of rice dishes paired with local wines before continuing on to your hotel in Verbania. Enchantment, beauty and charm are all present at the Grand Hotel Majestic. This sophisticated hotel is immersed in the poetic panorama of Lake Maggiore and is known for its distinguished architectural nobleness. The class and elegance of the guestrooms, the spacious adorned halls, and the spectacular terrace that faces the lake and the park make you feel like you are reliving earlier times when the hotel was frequented by renowned nobility and talented artists. This picturesque hotel is a stunning example of renewed Belle Époque architecture that welcomes you into its refined environment while enjoying an enchanting view of the Borromeo Gulf. 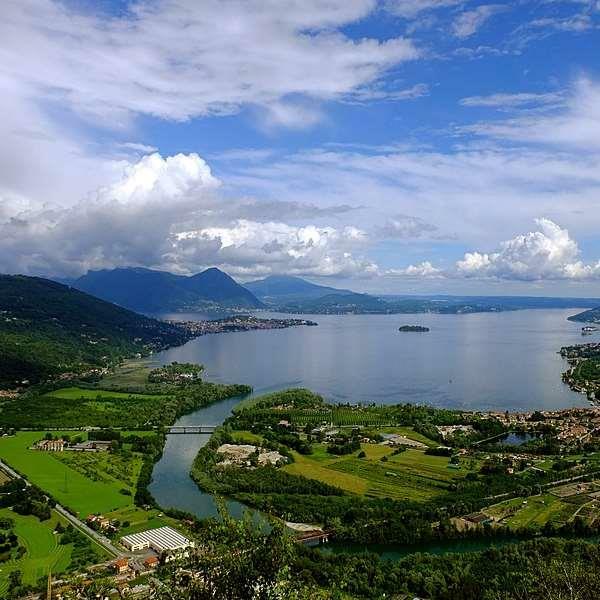 Meet your private guide and embark on a walk to the nearby harbor, boarding a privately captained boat for a discovery of the Borromean Islands of Lake Maggiore. You'll first cruise to Isola Madre, the furthest among the Borromean Islands where you'll disembark to visit the elegant English botanical gardens animated by peacocks and pheasants roaming freely in the park, and a Renaissance palace still owned by the Borromeo family. 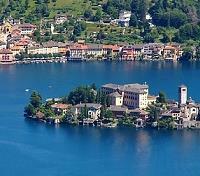 Afterward, sail to Pescatore Island (also known as Isola dei Pescatori) to discover the tiny ancient village with its narrow streets, a church dedicated to St. Victor, and panoramic views of the lake. The afternoon will be devoted to a visit of Isola Bella with its magnificent Baroque palace richly decorated with Italian-style gardens. 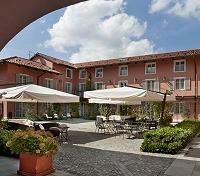 Enjoy a bit of free time in the quaint village on the island before returning to your hotel in Verbania. Meet your private guide and driver for a 30-minute drive to the stunning Lake Orta, stopping first at the most picturesque viewpoints, followed by a visit of the lovely lakeside town of Orta San Giulio. Once called God's Watercolor by Italian writer Piero Chiara, you know you're in for a treat with its cobblestone streets, 16th century town hall, and medieval houses flanking the open town square. You'll board the public ferry with your guide, heading to the tiny nearby St Giulio's Island. The island itself is dominated by the quiet community of nuns that live there, shut away from the outside world in almost complete silence within the walls of their convent. Visit the 12th century Basilica of San Giulio, with its vaults and domes and stunning frescoes, then stroll the streets of this tiny island before returning back to Verbania. Set out on a short transfer by private vehicle to the nearby kayaking club, where you'll meet up with a private instructor and gear up for a 2-hour kayaking activity on the waters of Lake Maggiore, near the little town of Intra on the Borromean Gulf. The heritage of this kayaking club is strong, having produced several Italian kayak champions in the past, so you'll be out on the water paddling in the wake of former glory. 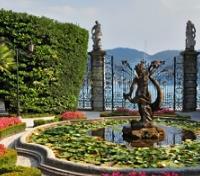 Admire the stunning lake scenery as you leisurely stride along Maggiore. Afterward, meet your private driver for a return transfer to your hotel. 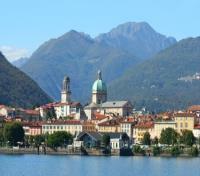 Meet your private driver and set out to the village of Como, 1.5 hours southeast of Verbania. On arrival, you'll meet up with a private local guide who will bring you aboard a private Venetian-style boat for a voyage to admire the ancient villas and lakeside villages of Lake Como. You'll sail north, spotting the elegant villas of the noble branch of the lake, such as Villa Erba, Villa d’Este, as well as Villa Fontanelle in Moltrasio - once owned by Gianni Versace, and even Villa Oleandra, now owned by award-winning actor George Clooney. You'll pass alongside the lake's only island, Isola Comacina, nowadays an open air museum with its ancient medieval ruins. Reaching the village of Tremezzo, you'll disembark and visit the famous 17th century Villa Carlotta, now home to a Neoclassical art museum, and a wonderful lush garden, one of Italy's most cherished botanical collections. 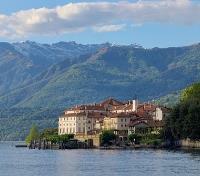 After, rejoin your boat and cruise to Bellagio for a brief visit of this famous resort village. Arriving back to Como, you'll discover the treasures of the historical center on a brief walking tour with your guide. Founded by the Romans, the city is surrounded by medieval walls on its three sides. Admire rationalist style buildings (1920's-30's) as you continue toward the ancient core of the city, admiring some quaint squares enriched with works of art. Here you can spot Como's best-known monument, the Gothic and Renaissance Cathedral, where construction spanned the 14th-18th centuries. After, you'll return to Verbania with your private driver. Meet your private driver for a transfer to the airport in Milan. Approximate travel time is 1 hour.